rNas is a ruggedized, high performance Network Attached Storage (NAS) solution allowing productions to acquire and transport broadcast media assets. Built in a road-ready enclosure that provided maximum strength and resiliency, rNas also aids in managing the increased data requirements of 4K and UHD productions. rNAS.m3 allows for more data acquisition than any other product currently on the market, within this form factor. 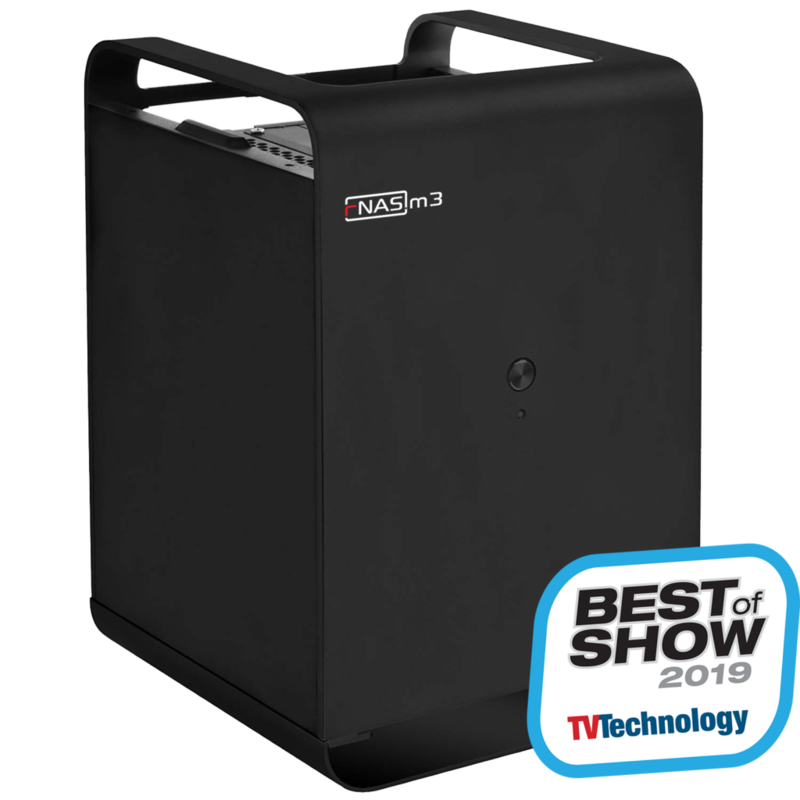 This compact and extremely durable NAS solution is desktop quiet and is designed with industry-standard interfaces as well as a proprietary external status display module. The hardware enclosure is assembled with travel and vibration resilient components to create a truly rugged NAS solution. Available with both a hard or soft carrying case for travel or shipping. The soft case is TSA approved for carry-on and allows safe transport of your media and peace of mind when you travel.